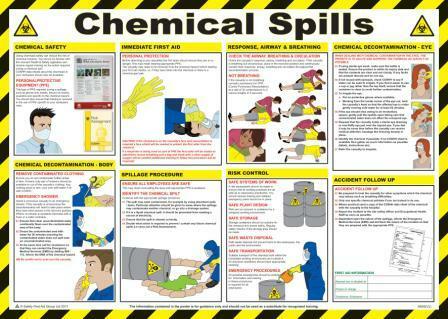 Our Site Health and Safety Poster is intended as a guide and highlights the relevant risks present on all construction sites and possible control measures to help you avoid the most common types of injuries and traumas. 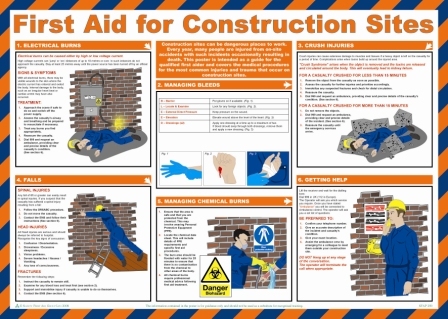 Our First Aid for Construction Sites Poster provides general first aid information on what to do in the event of various injuries on a construction site. 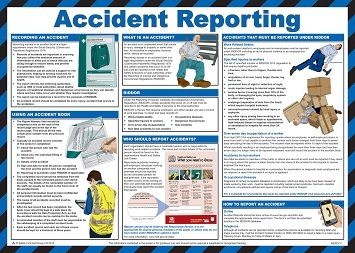 Every employer is required to assess and reduce the risks of harm to its employees and others. 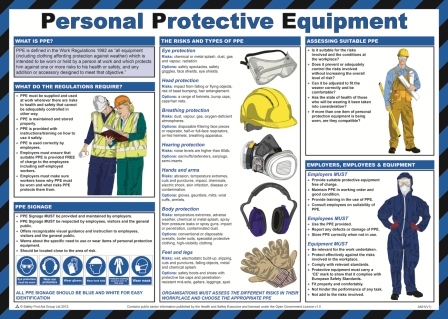 This poster highlights some basic information on the use of Personal Protective Equipment (PPE) within the workplace and is aimed at increasing awareness of any potential hazards, and thus reducing the risk of injury within the workplace.